2. Venus ruled by Neptune. 4. Moon opposite Pluto (bridged by square from the Sun). This is moderately strong, and all points of the formula other than the Moon aspect will remain in effect for a number of days. I posit a very high likelihood of more mass-murder events this week. 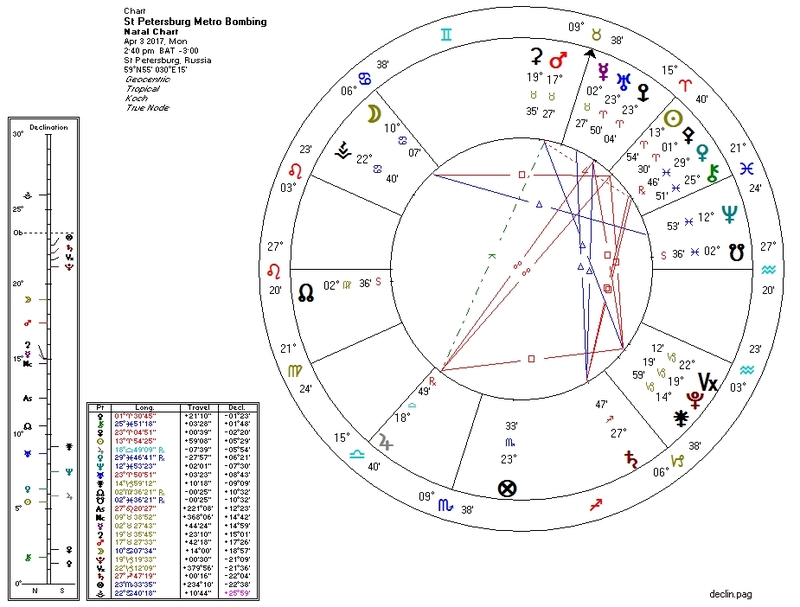 The Mars-Jupiter-Pluto aspect triangle is highly descriptive of a destructive explosion. Mars is conjunct Ceres (Ceres is prominent when things or people are "taken away").